After months of spending a lot of money on stickers and not having enough planners to fill them with, I’ve tried to not buy any stickers since Easter. 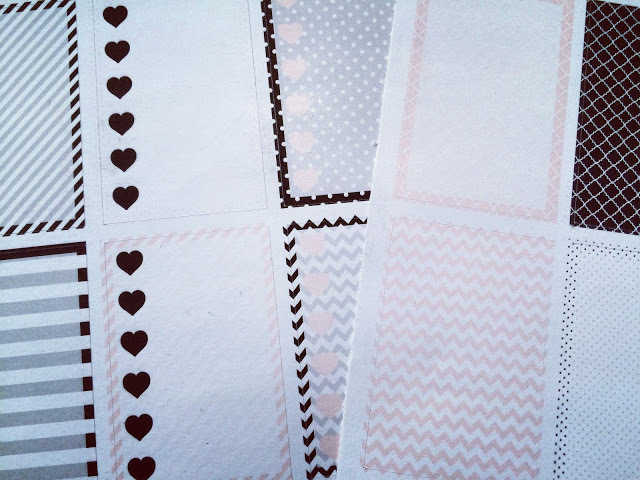 However, when you’re running a series on a blog, it’s pretty difficult when you run out of new stickers to review! So from now on, I’ll be buying stickers but they will be less of a haul and more of a review. So next up is Sweet Planner Designs. I’ve only come across this shop recently through Instagram but with a 40% off code last week, who was I to refuse?! Due t lack of funds, I just bought one weekly set. I paid £5.40 in total including shipping. The kit would normally cost £6.00 with £1.80 delivery. This is quite expensive delivery comapred to other Etsy shop but personally, I don’t mind as you have to consider the price of envelopes, printing, stamps and travelling to the Post Office! 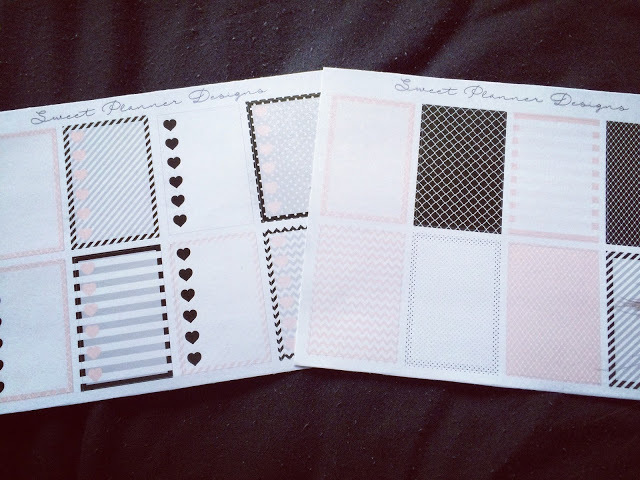 I went for the Pink Blush kit; this is four sheets which works out at £1.50 a sheet, pretty standard really! 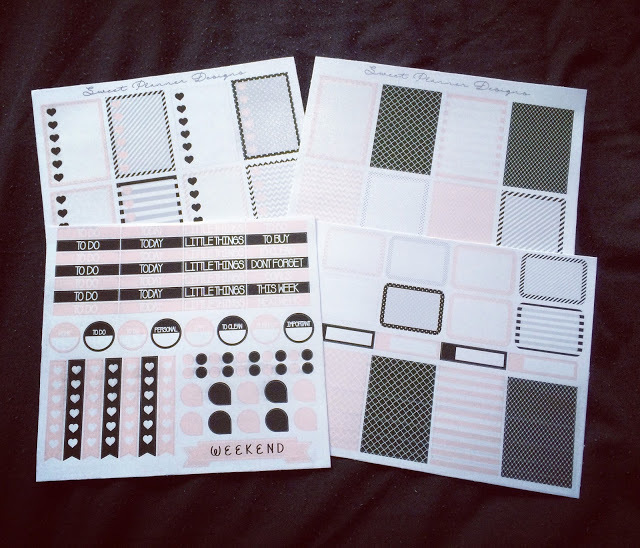 I often find that when I order weekly kits with 6+ sheets, I tend not to use all of them. 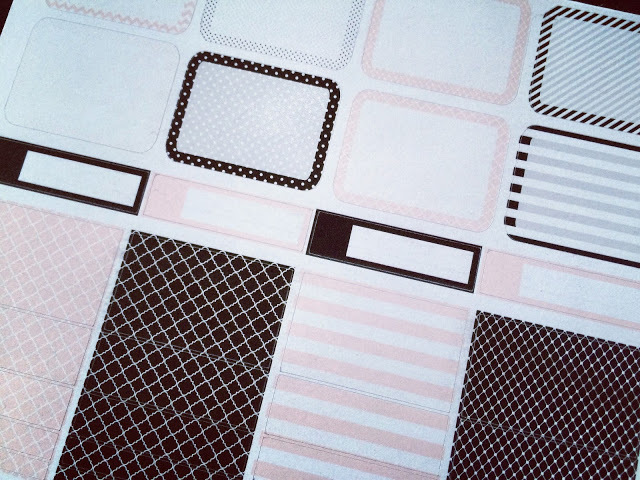 These also fit in the Happy Planner which is often not easy to come across as most people own an Erin Condren. The photos do not do this colour scheme justice! The pink, white and black go perfectly together. Usually I’m not a massive fan of pink but I do like blush pink! Two sheets of larger boxes are good for me as I like to write on them and then add a couple to the sidebar. Headings and checklists will always be handy as I like to seperate my plans neatly. 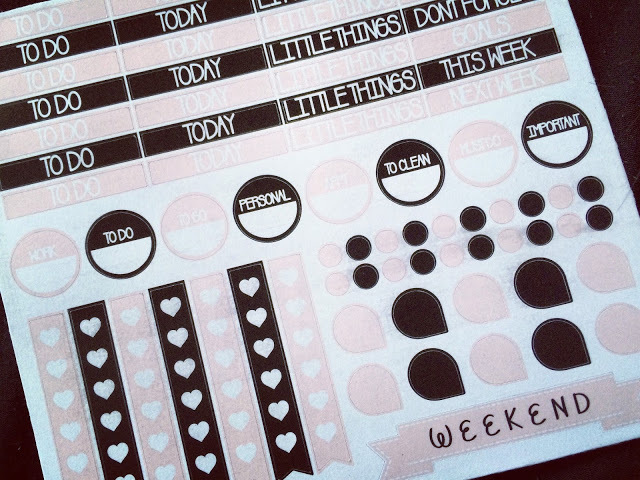 The only thing I would love on the extras sheet would be for the circular stickers above to be blank rather than have ‘Work’, ‘Personal’ or ‘To Clean’ on them. I tend to use half boxes for extra special plans such as dates, birthdays and trips out. I love that the middle is transparent too so I can write on them and still see the ink! 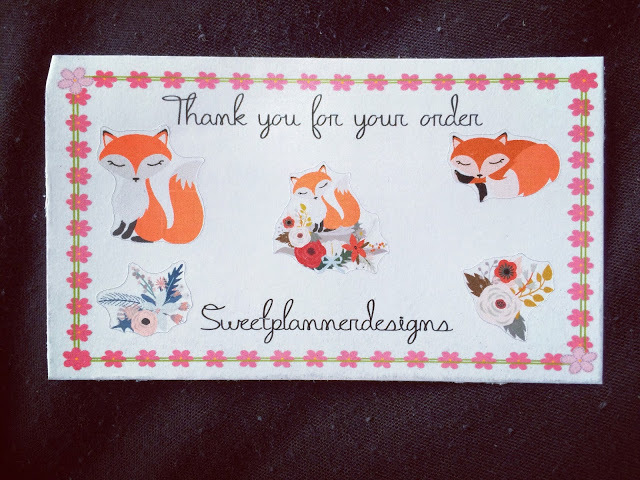 Once again, a fab little freebie sheet with the cutest foxes and flowers on them. Check out Laura’s shop on Etsy here and Instagram here.